Find just the right local pottery studio in NY for you to learn a new skill or practice what you already know on the pottery wheel. If you want to make your own pottery in New York, check out these studios. Plan a hands-on birthday party for your child at these paint-your-own pottery studios in New York listed on KidsParties.Party. So, You Want to Take Some Ceramic Classes? 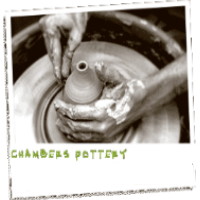 Visit Chambers Pottery Studio In New York! This pottery studio is special because it is both relaxed and the staff make you feel at ease; and, they teach you with real art instruction. Their courses include children’s and adult’s beginner, intermediate, and advanced techniques, to include hand building and wheel instruction. There is even open studio time, which all students are encouraged to attend; the staff members really understand and encourage a friendly, communal environment, making Chambers Pottery one of the best Pottery Studios in New York! Tuition for a term (approximately six weeks) starts $375.00 for adults, and $275.00 for children. For convenient payment methods, they even accept PayPal via their website. This is really a fun and easy place for learning pottery and ceramic instruction. 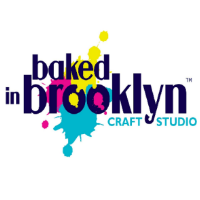 For a Really Great Ceramic Class, Come to one of the Best Pottery Studios in New York: Baked in Brooklyn! The friendly staff at Baked in Brooklyn is very friendly, making everyone feel comfortable and at ease. There are evening classes, usually with less than ten people, making this not only a creative experience, but a social event, if you want it to be. The selection of projects is great, the paints are not at all expensive, and wine and munchies are included in the low rate of just $20.00 – what a deal! Most classes start at either 4:00 p.m. or 7:00 p.m. There is even an adult party package, for a special night, which starts at $220.00 for six – ten guests, for two hours of studio time, plus wine, cheese, balloons, and more. All and all, this is one of the best pottery studios in New York! 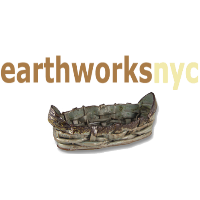 Earthworks NYC has a wonderful program, teaching solid skills, utilizing great teachers, and making studio hours and bench time available. Classes are small, usually less than 8 students, instructors are approachable and encouraging, making the learning experience easy and friendly. This is one of the best pottery studies in New York! 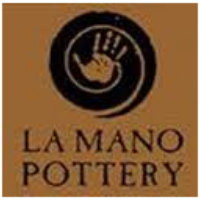 La Mano Pottery Offers Some of the Best Pottery Classes! For a spectacular pottery studio in New York, you’ll want to contact La Mano Pottery! Not only does La Mano Pottery offer traditional pottery classes, but they have specialty programs, such as their Silver Clay Program. This course teaches how to use precious metal clays to mold into endless possibilities for unique jewelry creations. Whether you are interested in making original pieces for yourself, making a special gift for someone special, or even producing them for starting your own business, this is the place to learn – this is one of the best pottery studios in New York! Most classes last for eight weeks; prices start at $300. Week classes are scheduled for morning and evening times. The instructors are expert in their fields and have the ability to easily teach students from all different backgrounds, making La Mano Pottery a great pottery studio in New York. Mugi is a Fabulous Pottery Studio in New York! Classes? Oh yeah, they have them: Children’s: 8 weeks for $200; Adults: 8 weeks for $295 or 6 weeks for $235. The best part is the Couples Night at Mugi for $85, you will be introduced to vases, trays, containers and many different types of hand building techniques. FYI: Couples Night at Mugi was featured on Millionaire Match Maker! 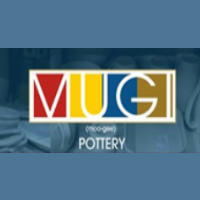 Mugi Pottery also offers corporate events, birthday parties, bridal showers – if you have an event, call Mugi Pottery Studio in New York for a memorable experience.